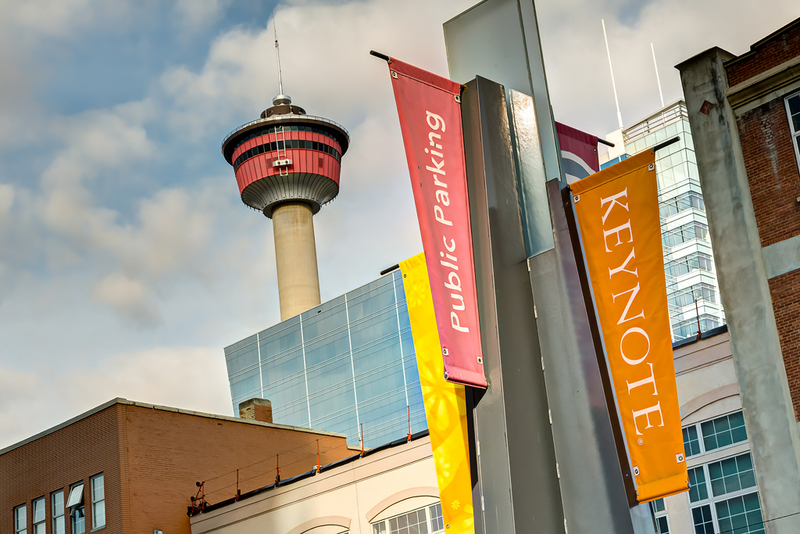 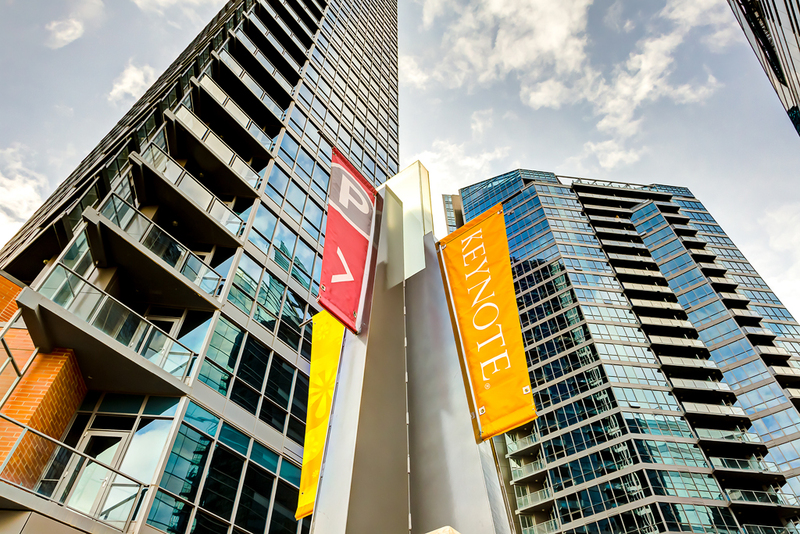 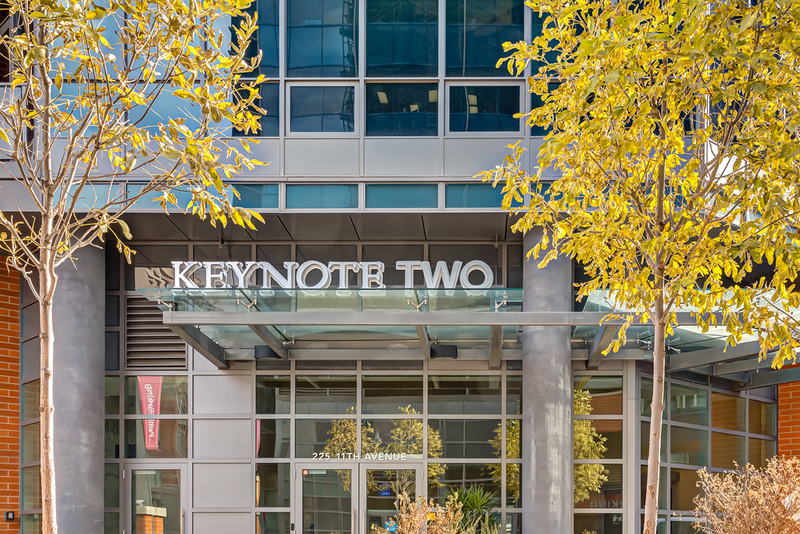 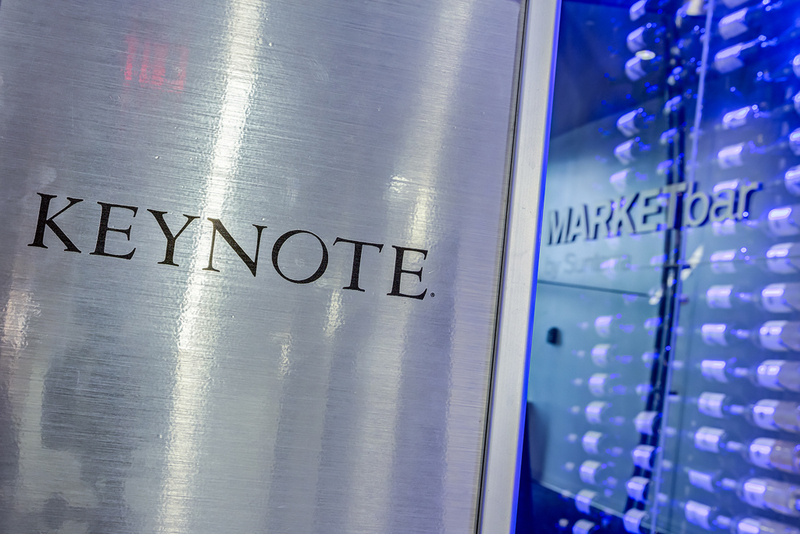 Enjoy your time in Calgary by staying in downtown Calgary at Keynote II where all the action is. 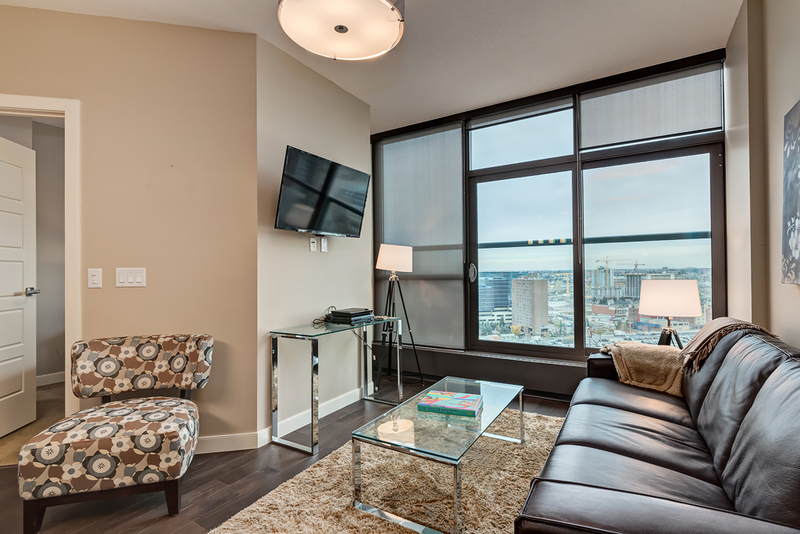 This 19th floor furnished suite has fantastic unobstructed NE downtown and river views, hardwood flooring, carpeted bedroom, granite countertops, and in suite laundry. 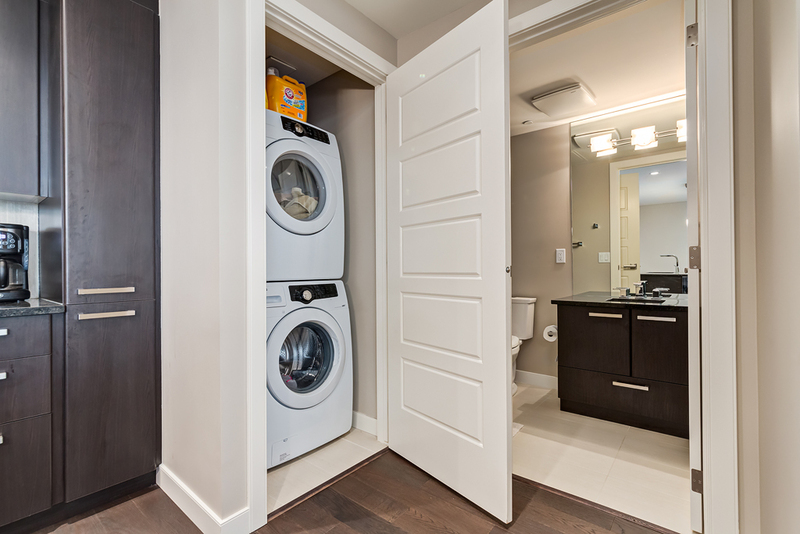 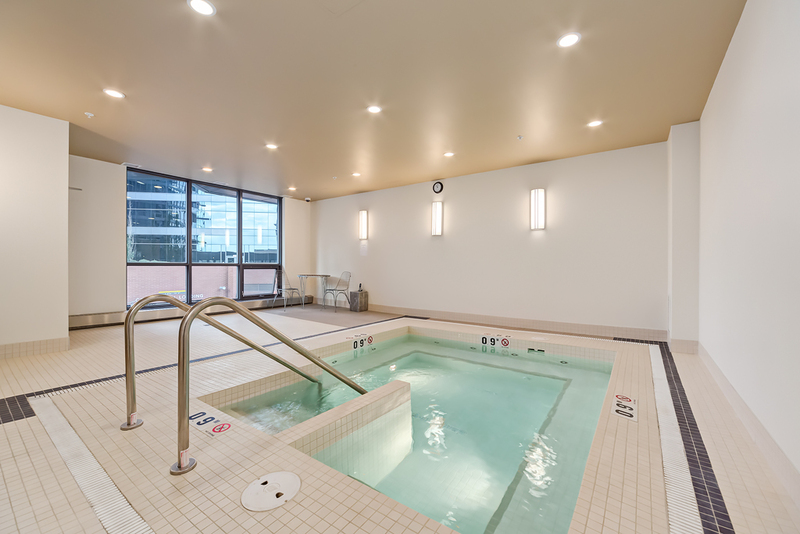 Amenities include a large exercise room, whirlpool, underground parking, bike room, and storage locker for additional items. 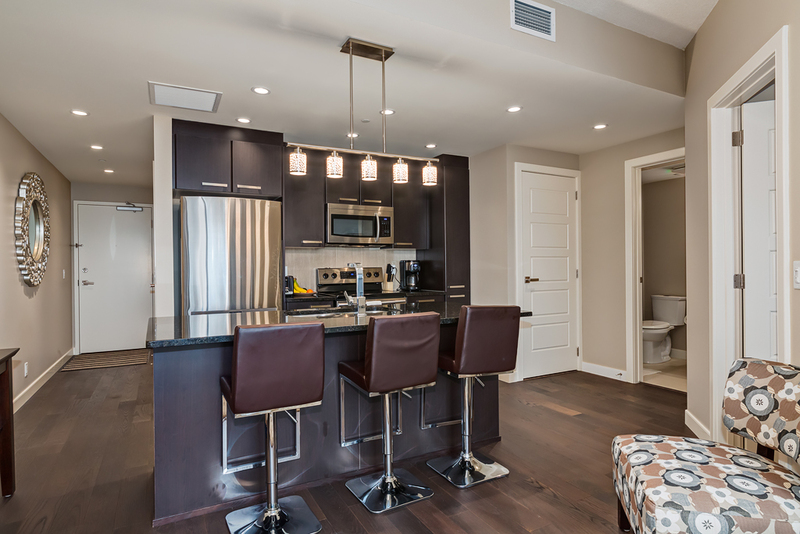 There is a guest suite in the building that can be rented for a minimum cost, party room, and patio area with a BBQ. 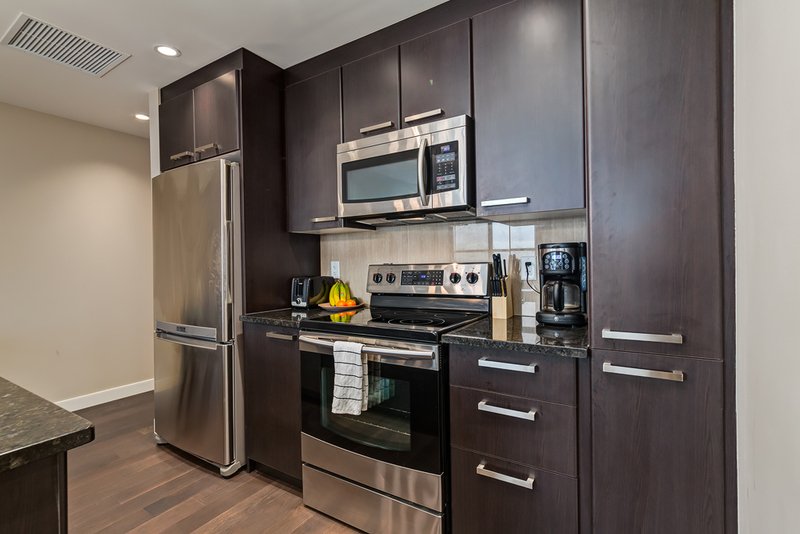 Have the convenience by taking the elevator to pick up your morning coffee at Starbucks, groceries and deli at Sunterra Market, or for that casual dinner at the Sunterra Bar. 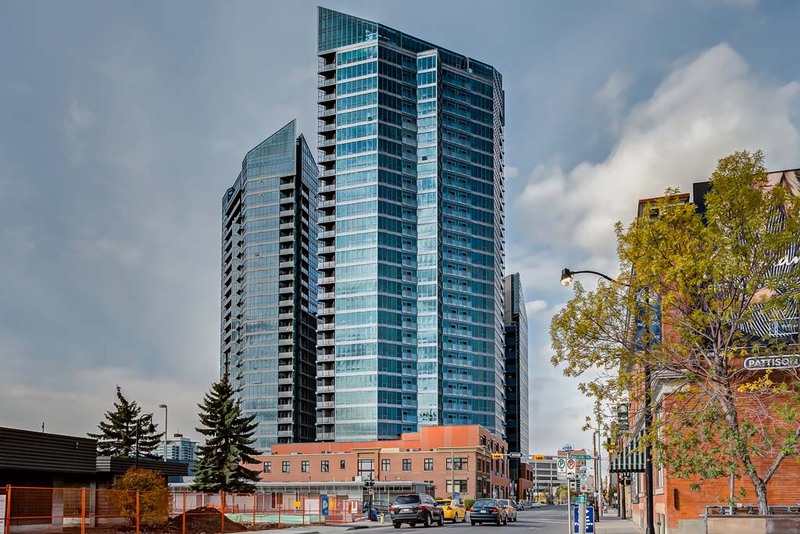 The Royal Bank is also conveniently located in the building. 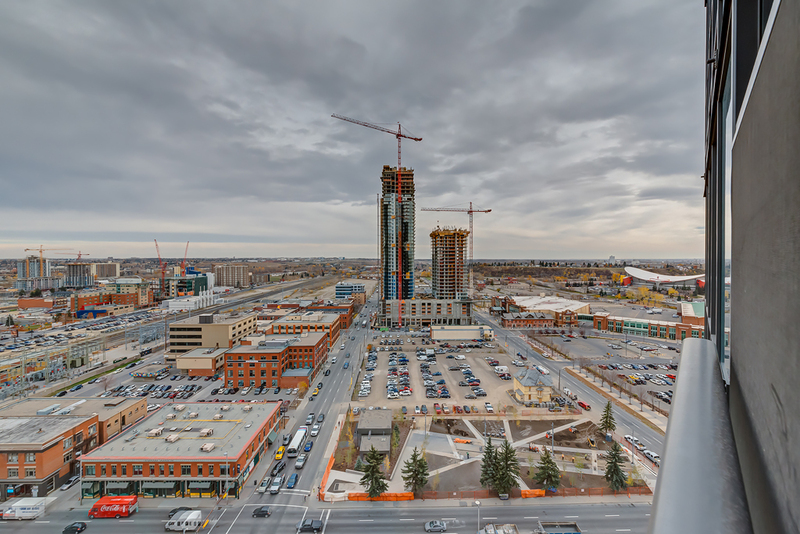 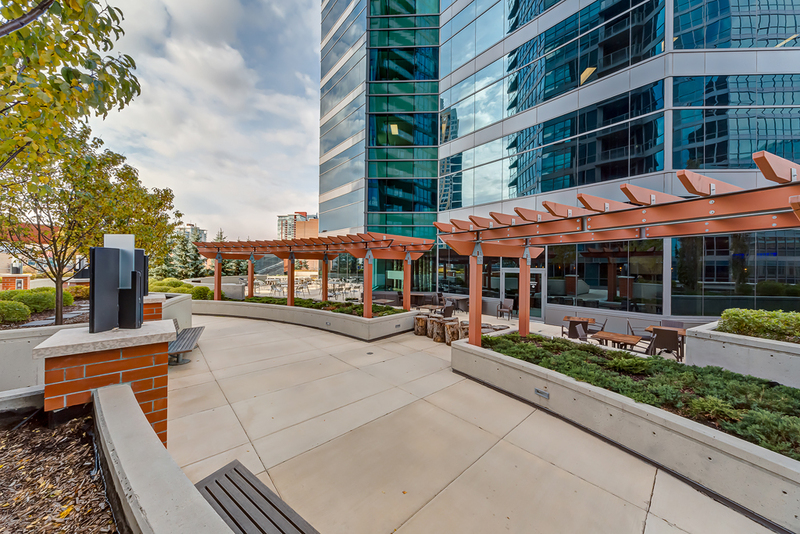 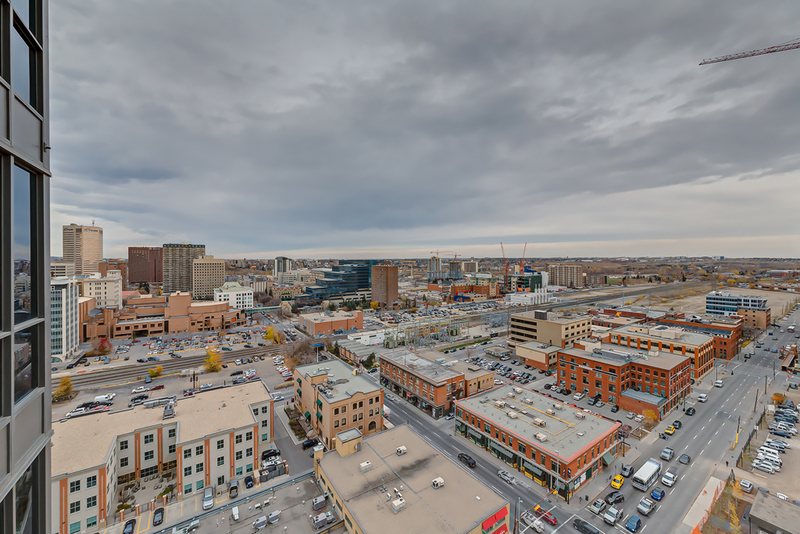 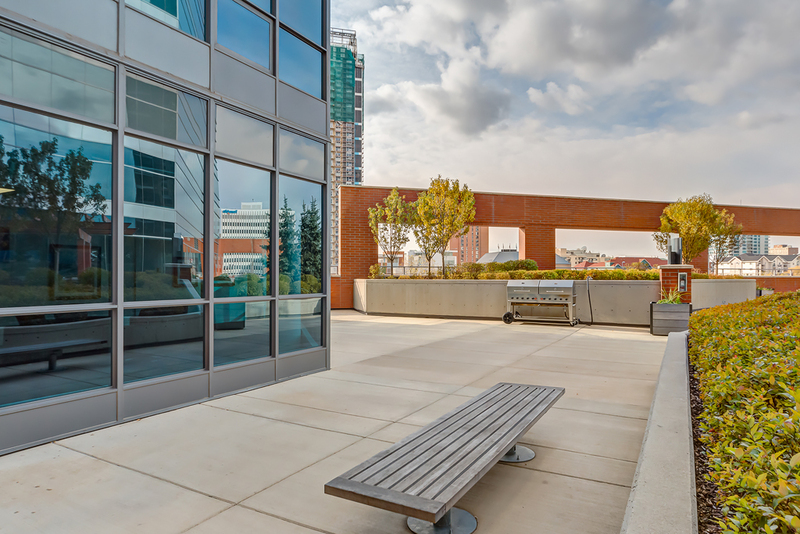 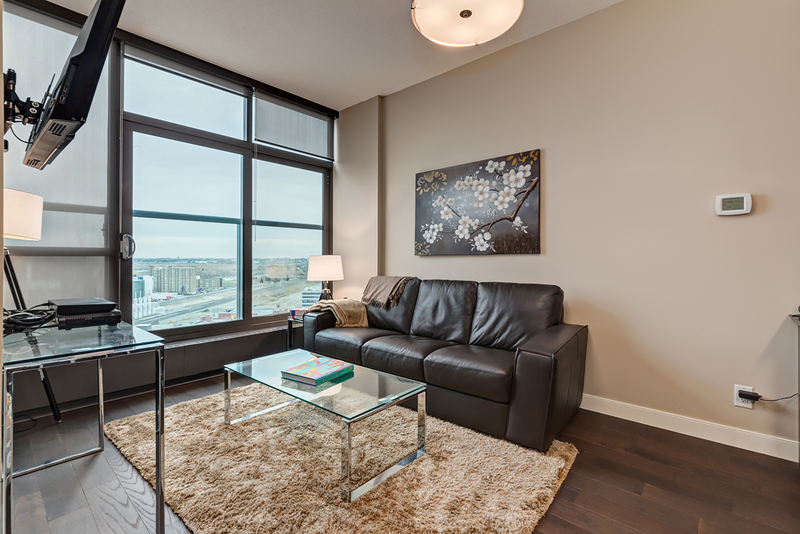 This centrally located building in downtown Calgary allows easy access to new restaurants, 2 blocks from +15 level to access all major offices, walking distance to 17th Avenue and the arts & entertainment district including Stampede Park and the Saddledome home to the Calgary Flames hockey team. 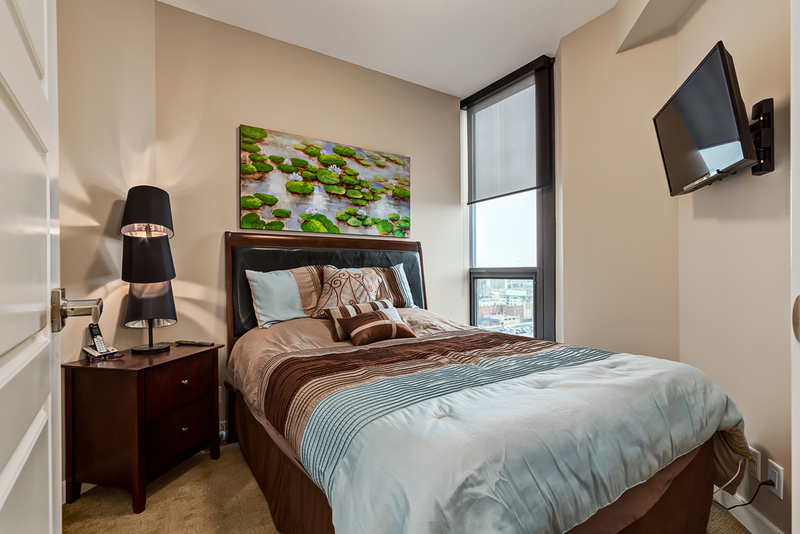 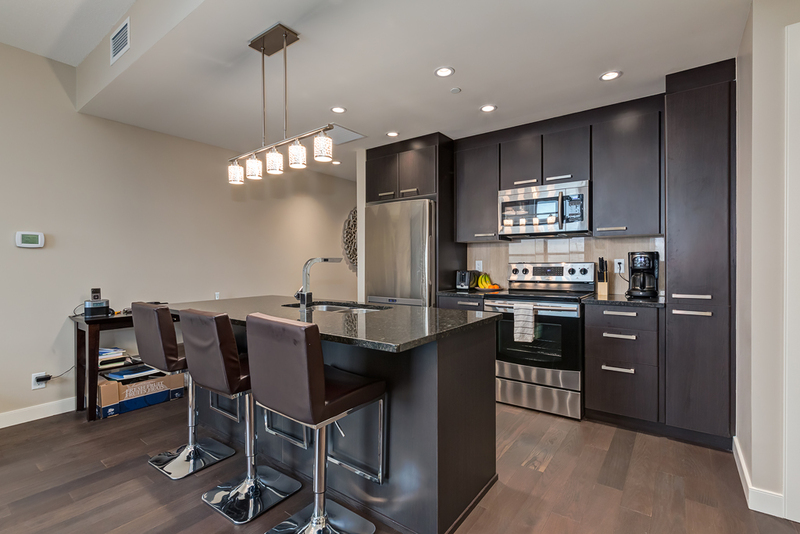 Make this suite your home away from home, call Corporate Living Suites at 587-897-2100 to avoid disappointment.